Join your friends at the GLAA for a fun night of poker to raise money for our NAA PAC Fund. 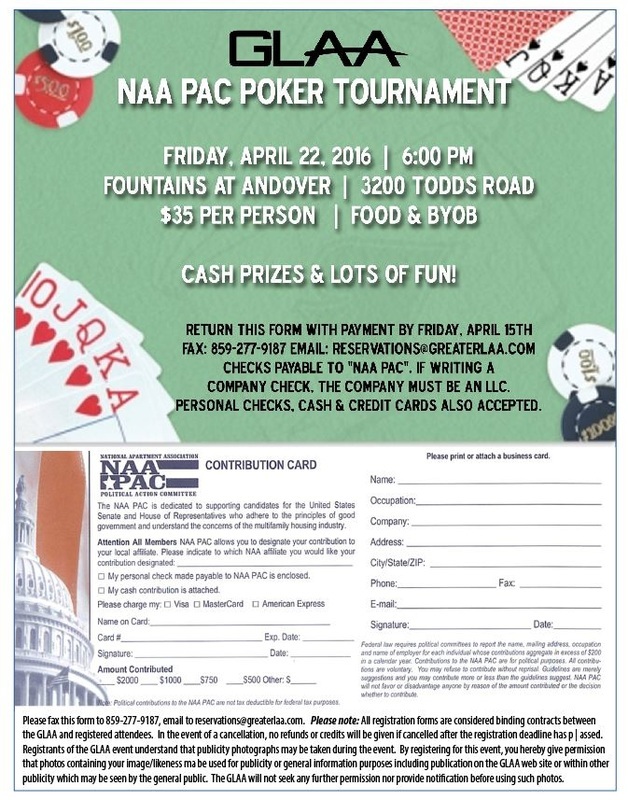 The night will take place at the Fountains at Andover Clubhouse and will include CASH prizes, food, and lots of fun. The night is BYOB and there will not be a CASH BAR available that night. We hope you'll make plans to join us. Please keep in mind that space is limited! You can return it via fax at 859-277-9187 or you can email it to us at office@greaterlaa.com.